How to make POSHMARK STEALTH ACCOUNT. Hey guys, I think its time we come together and find a way to make new poshmark accounts...on the same DEVICE as previously banned account. I have tried changing my IP on my iphone but it still doesnt allow me to create an account. I have a feeling poshmark bans the mac address associated with the phone. If anyone knows an easy way to make poshmark accounts please share. Thank you! Re: How to make POSHMARK STEALTH ACCOUNT. Buy a cheap android enabled smartphone on Amazon. The app is associated with the phone, changing IPs won't help. Your only option is a new phone or you flash/reset the phone and put in a new sim. Used clothes, new clothes, and random junk. I have an account just to check for counterfeits. It’s a pretty gross looking setup of a website. I have all kinds of random junk! Cool! Looks like they only get about 1% the traffic eBay does. Do young women and millennials like the junk you got it? If so, it may be for you! I have several Poshmark stealth's....all are running on my Computer with NOX android Emulator and my Tablet with separate User Accounts. Oh boy, you gonna upset some forum users with that comment unknown.....it seems many users want to be spoonfed and feel they should not and cannot be burdened with actually doing some legwork. What kind of tablet are you using that has separate user accounts? This is what I have, I should note that I use the separate user accounts in Android OS. (This tablet is Dual OS). I'd say that the basics to creating stealth accounts is the same across the board. Some easier and some tougher to do. 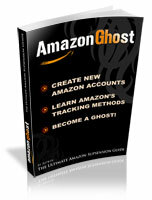 I like to go back to my Amazon Ghost and try to apply the strategies from it in other wbsites. Have you thought about this for your poshmark stuff? Thanks! I only use iPads and never jailbreaked them to be able to do more so I was curious how Android was doing it. That’s neat and not terribly priced, may be worth looking into for a few shops I manage on my only Windows laptop I keep. You can't sell crap on Poshmark. I listed like 6 pairs of my extra shoes people gave as gifts and such never worn very popular styles and closest I came to a sale was questions like, "yo bro wanna trade?" Do ppl expect free shipping on Poshmark?